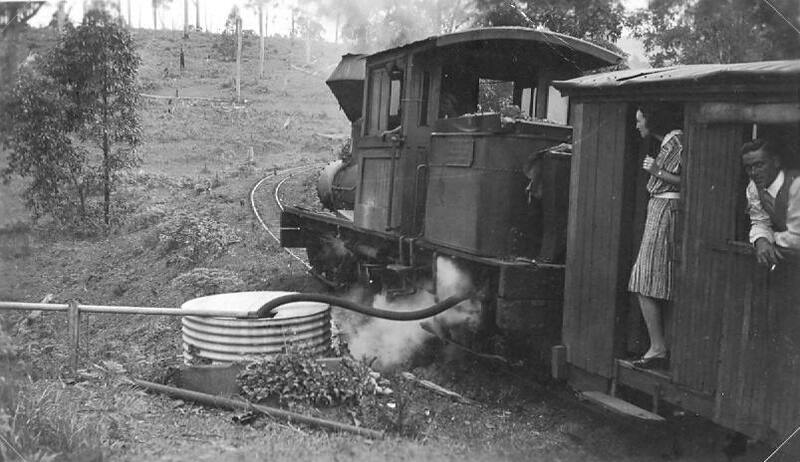 Dulong at the Mapleton high-level water tank. 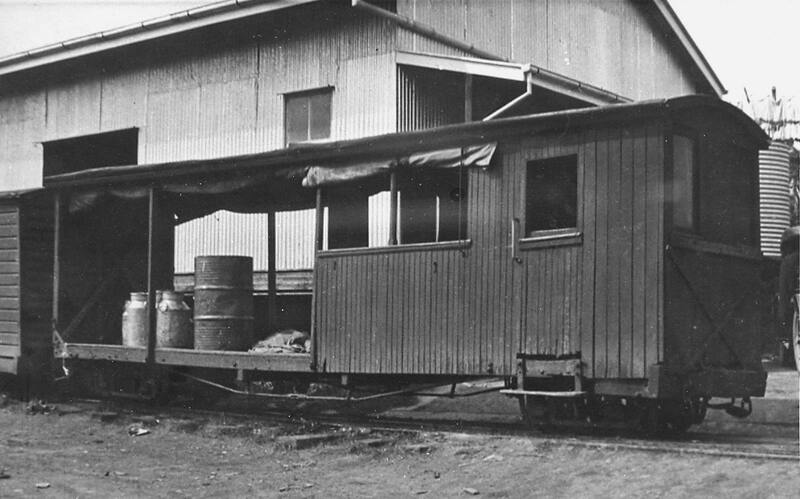 Note that the coal is bagged. 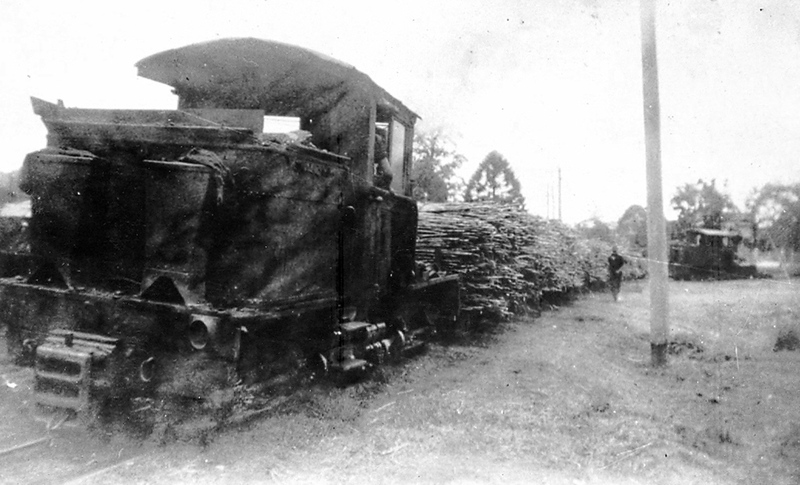 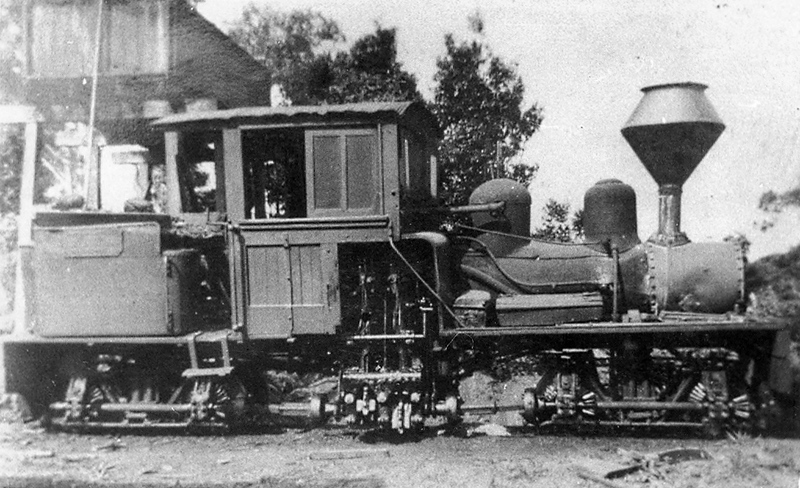 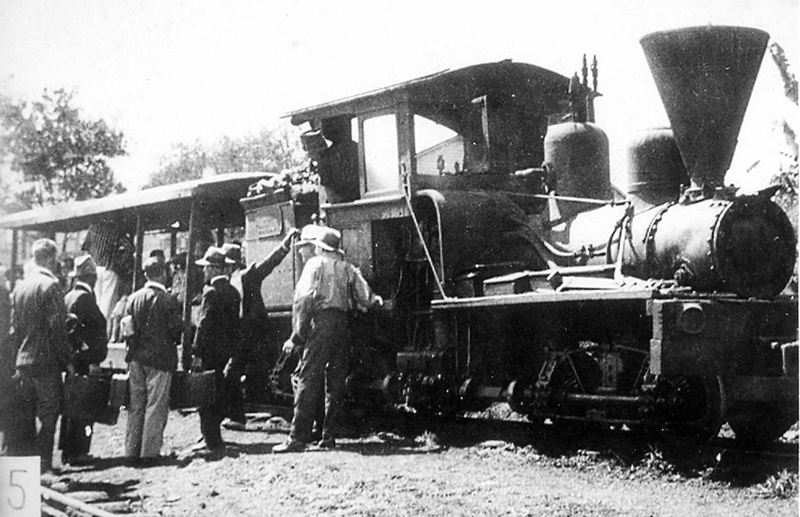 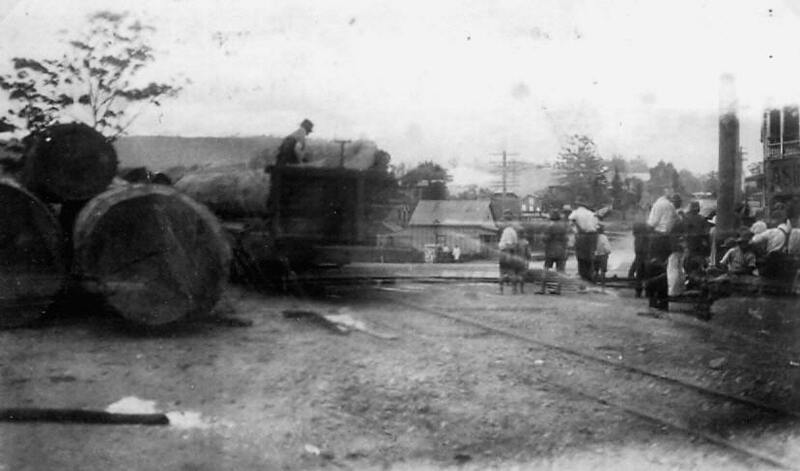 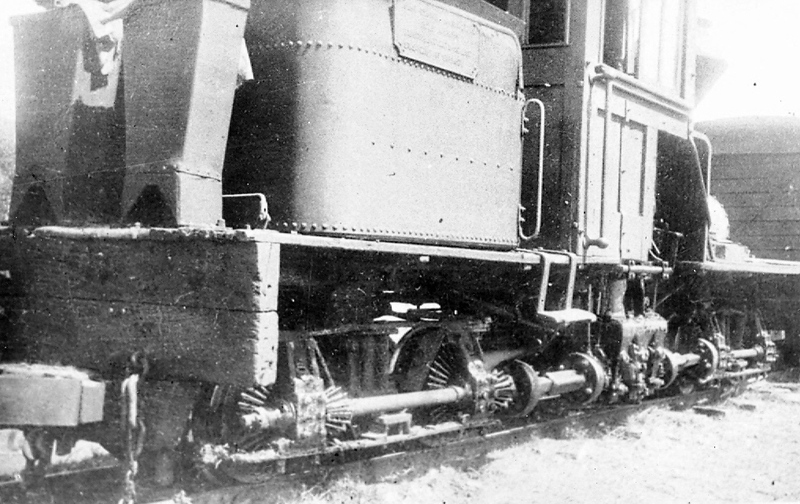 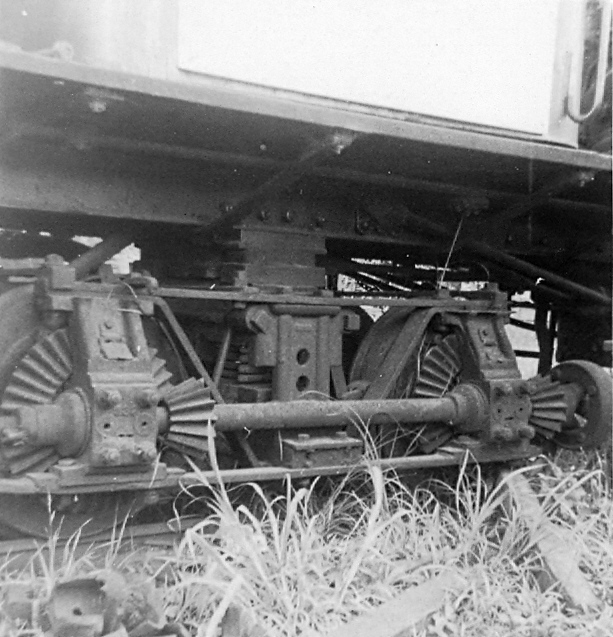 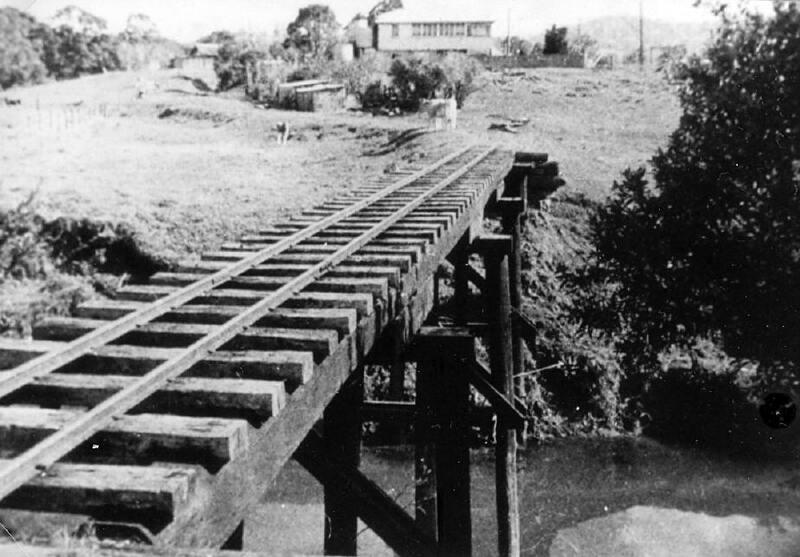 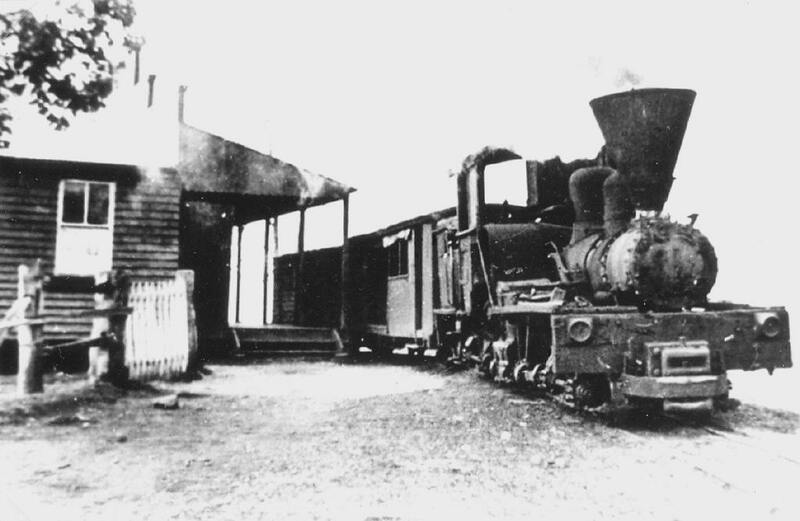 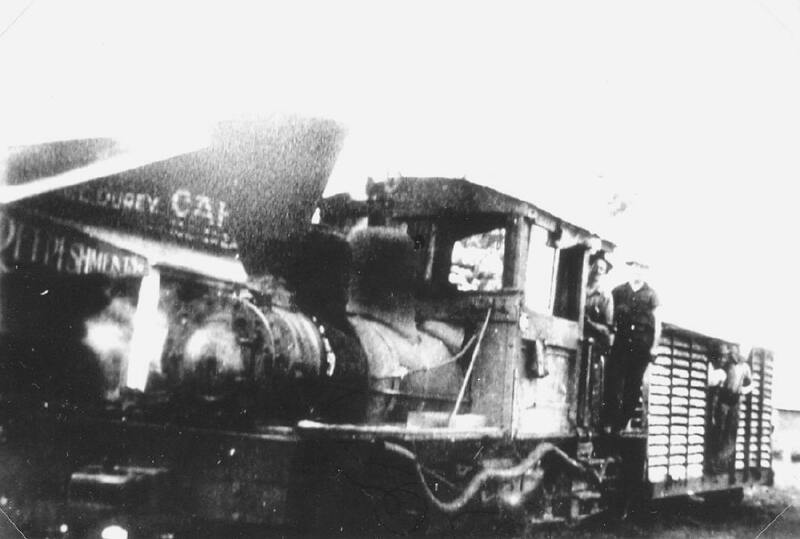 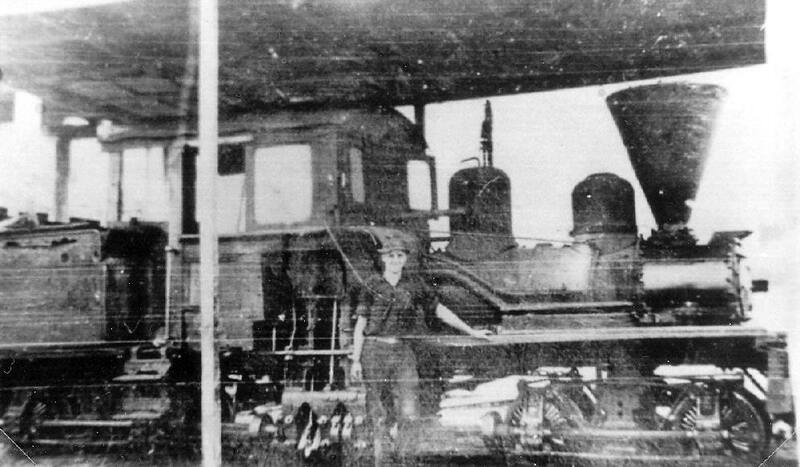 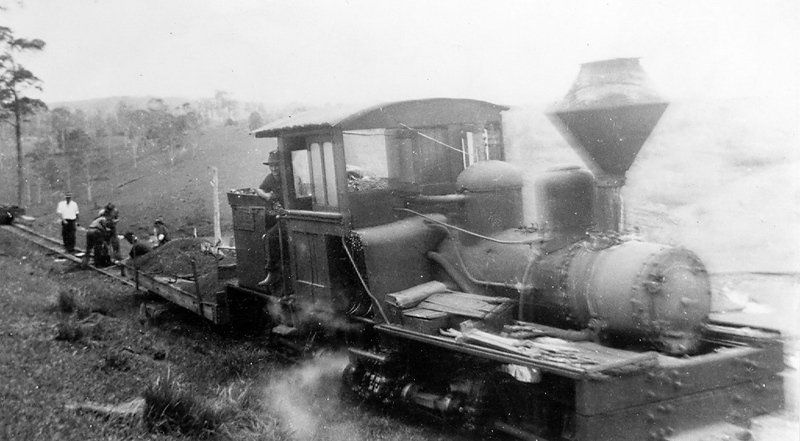 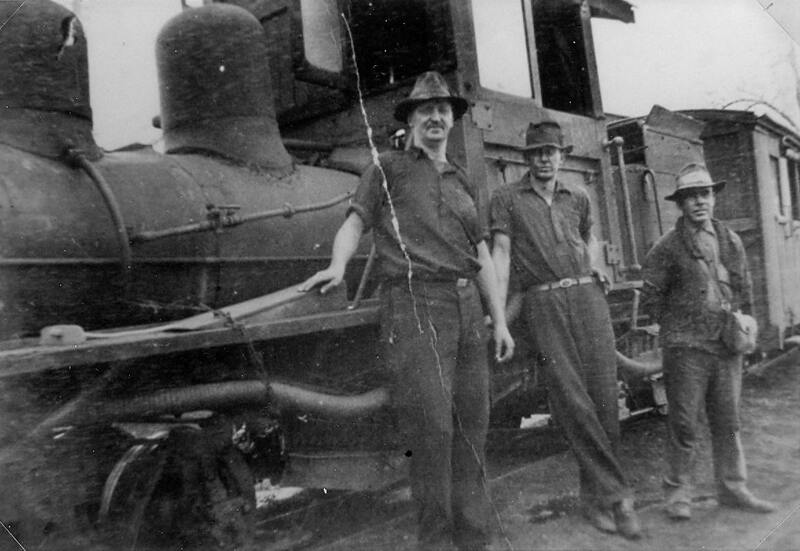 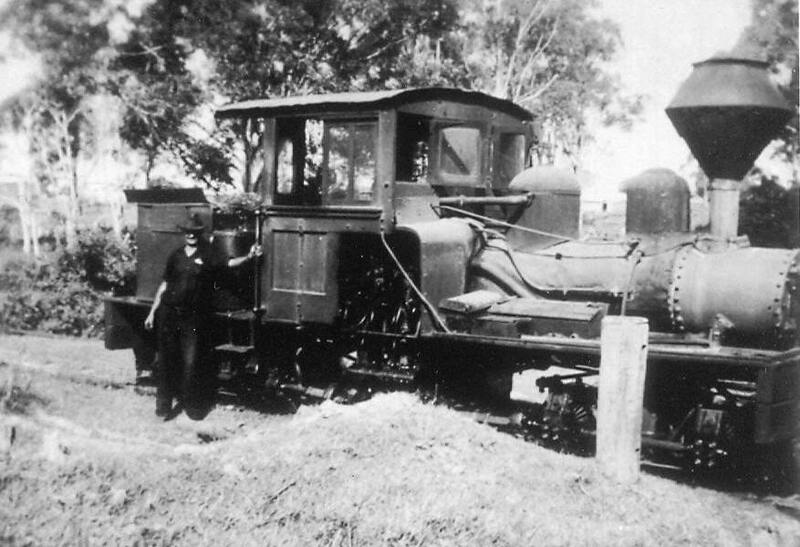 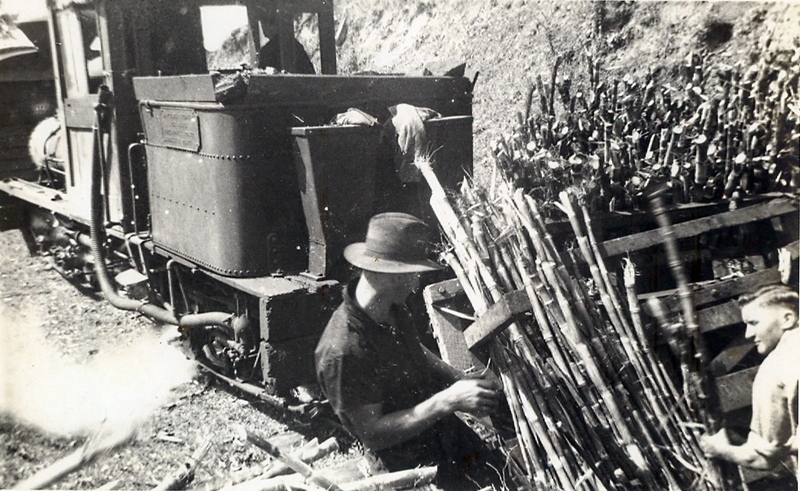 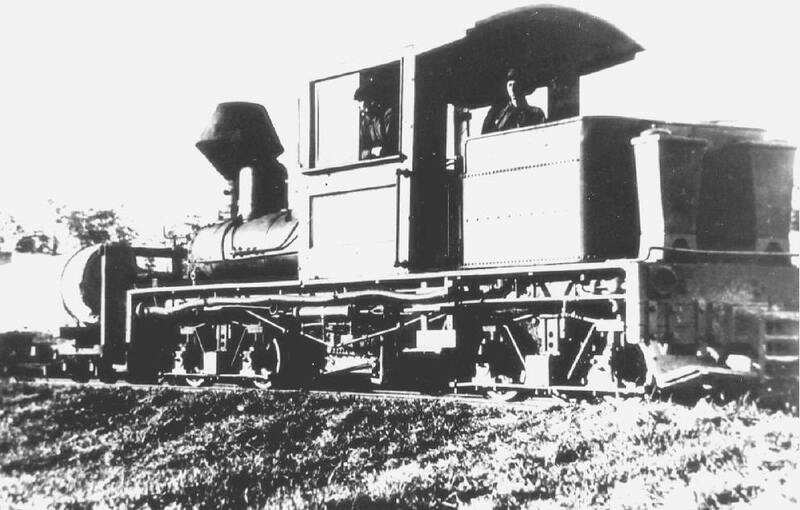 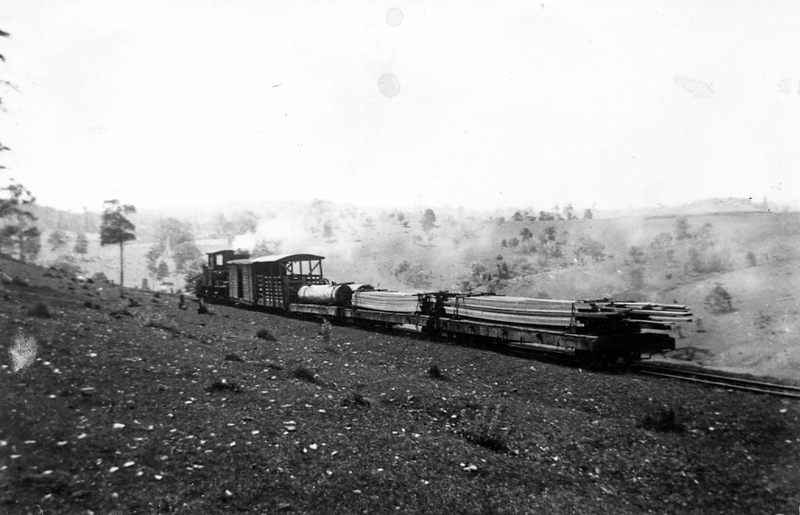 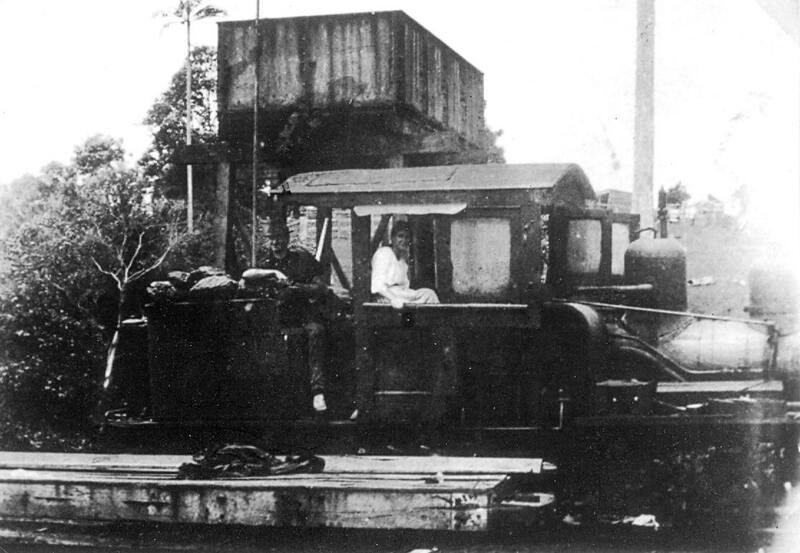 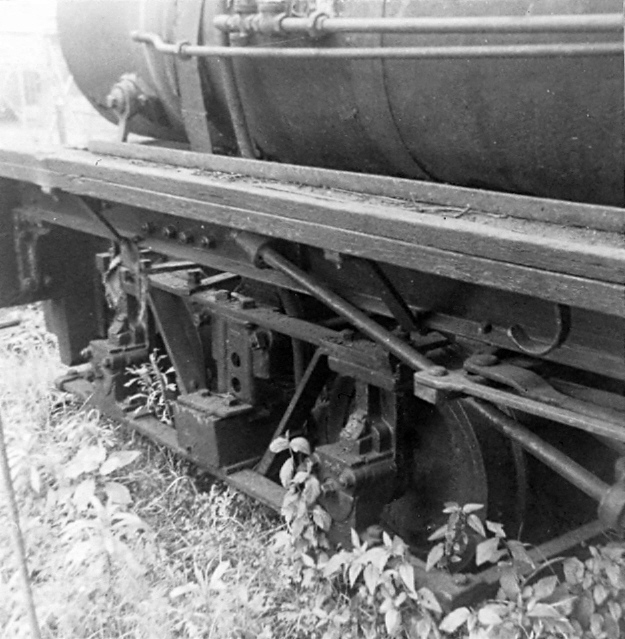 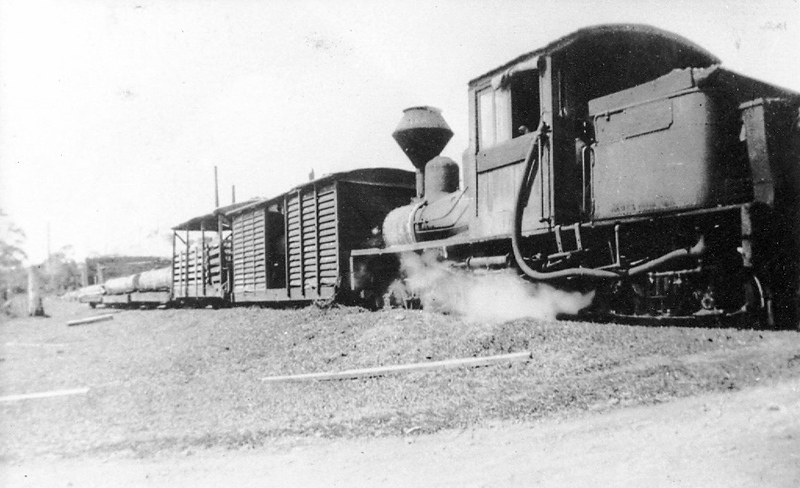 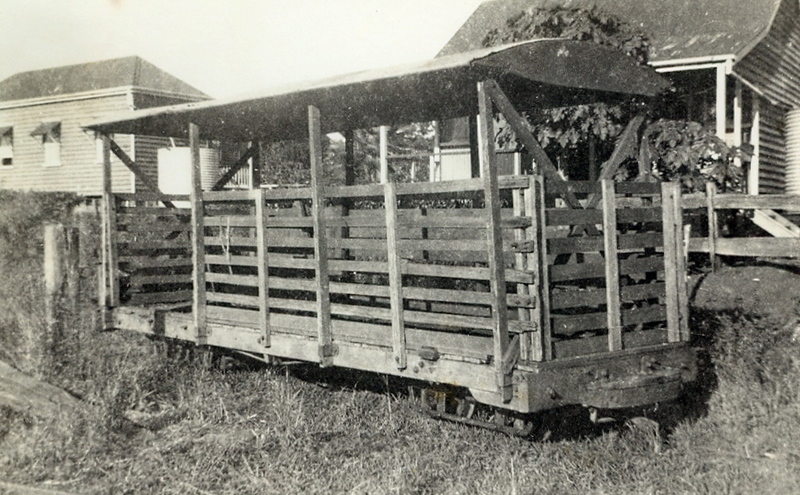 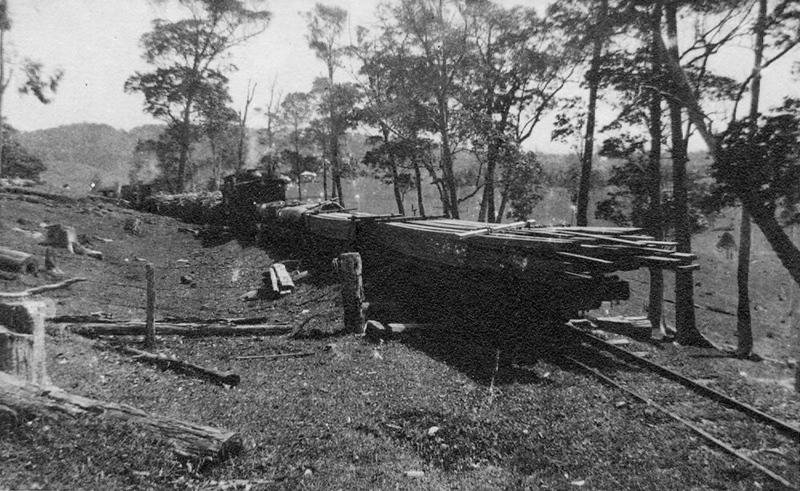 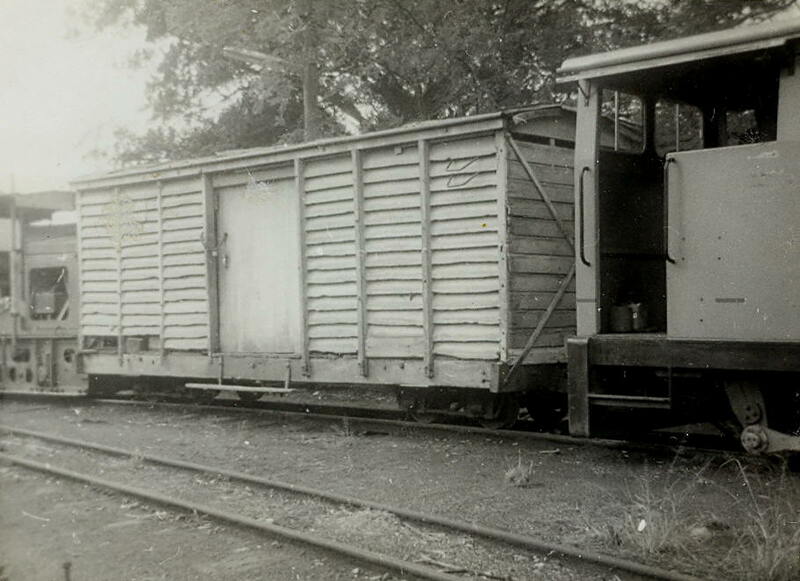 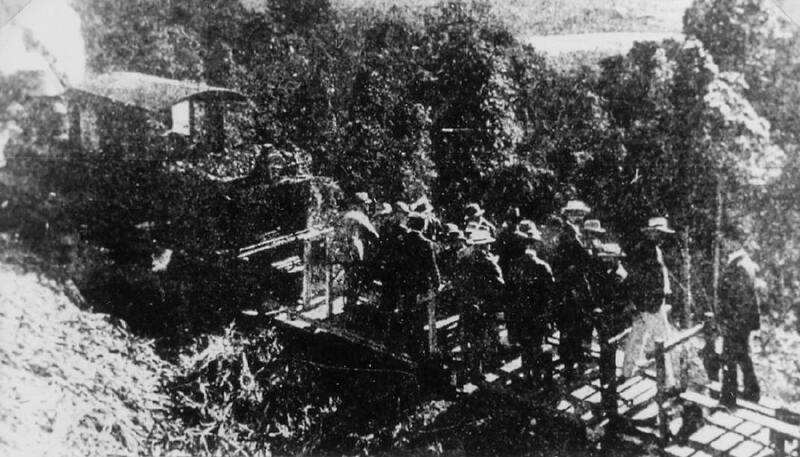 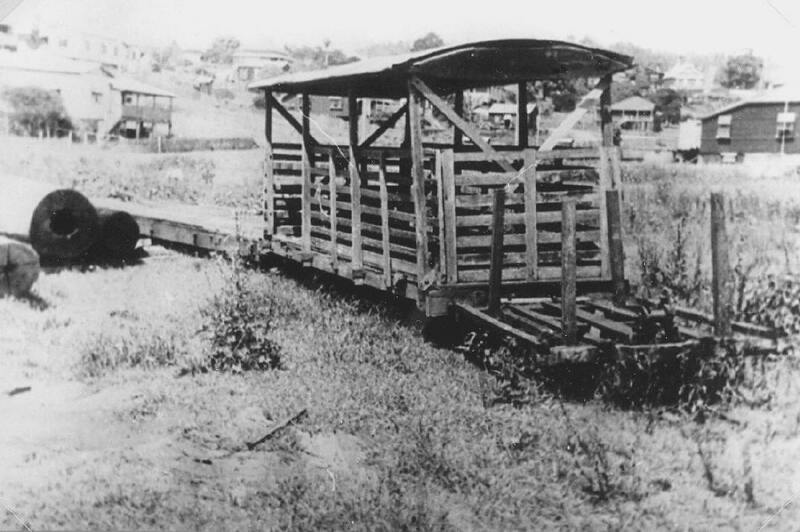 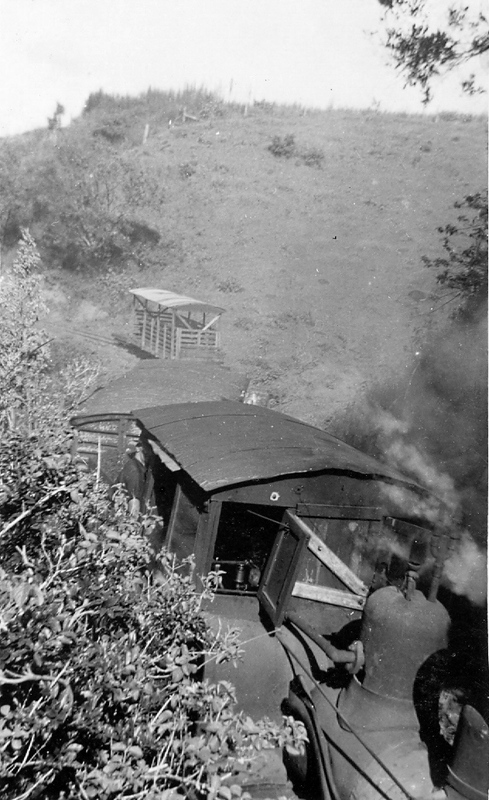 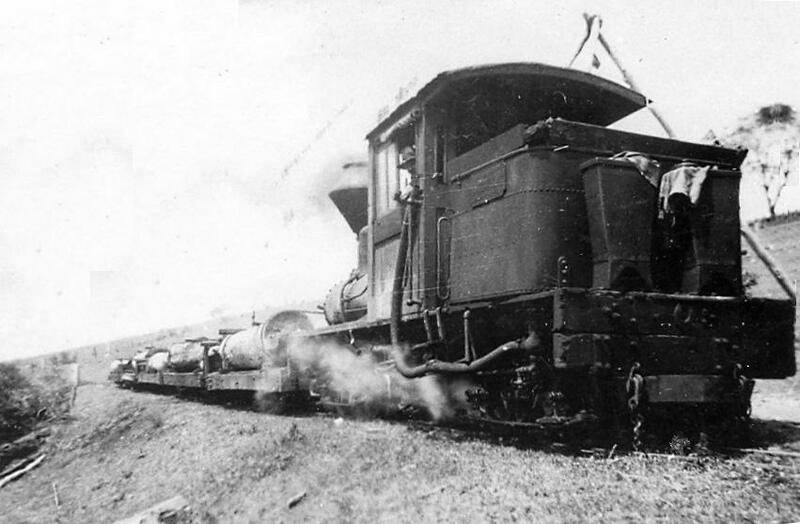 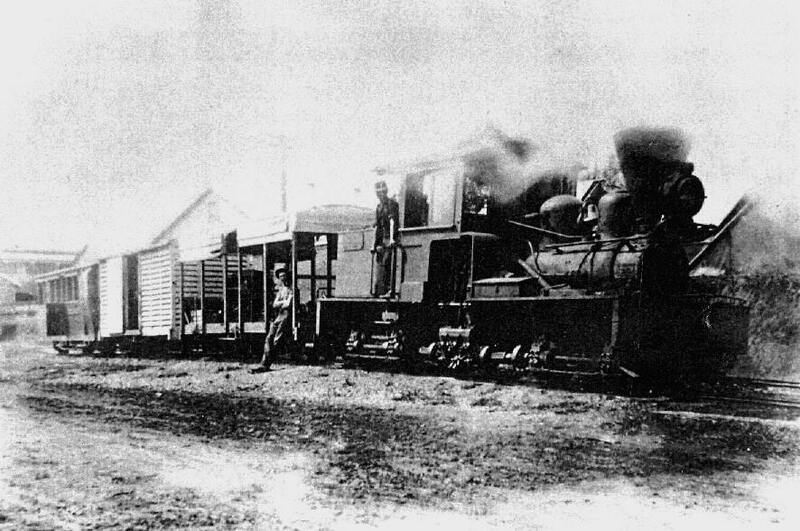 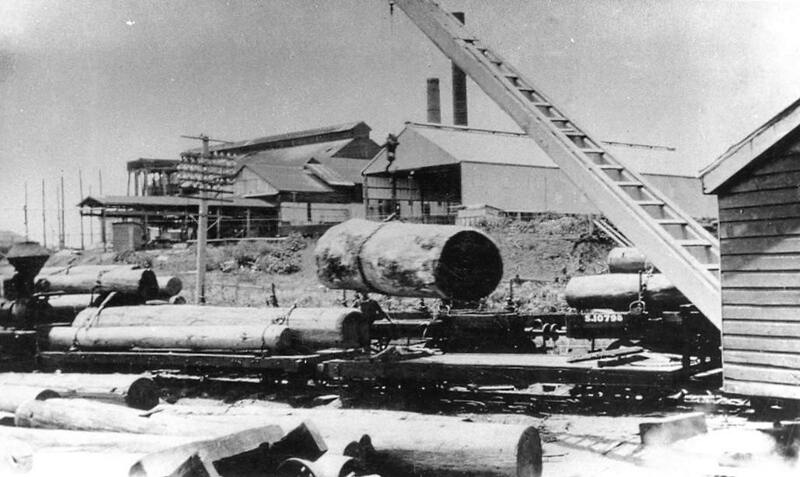 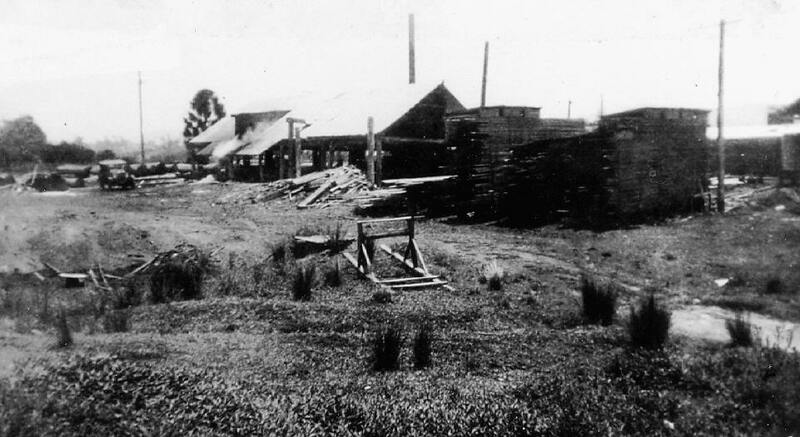 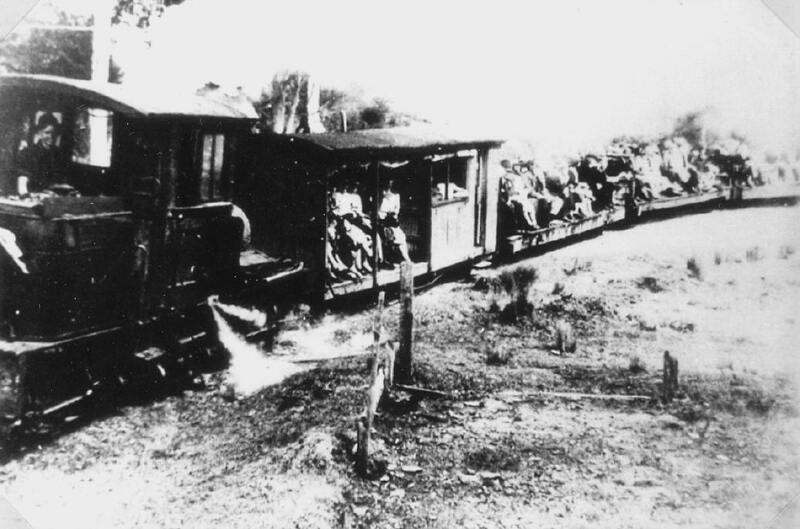 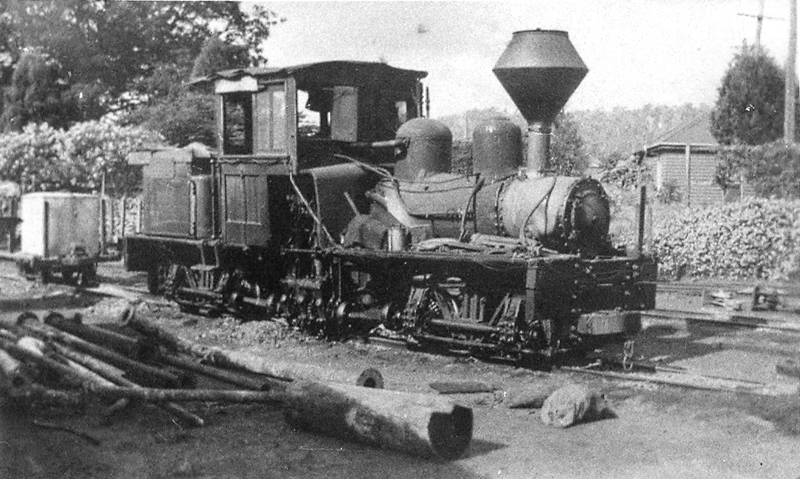 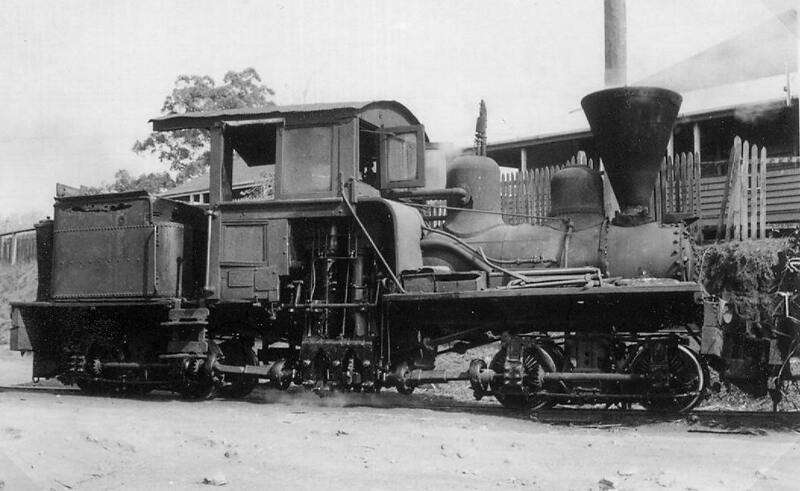 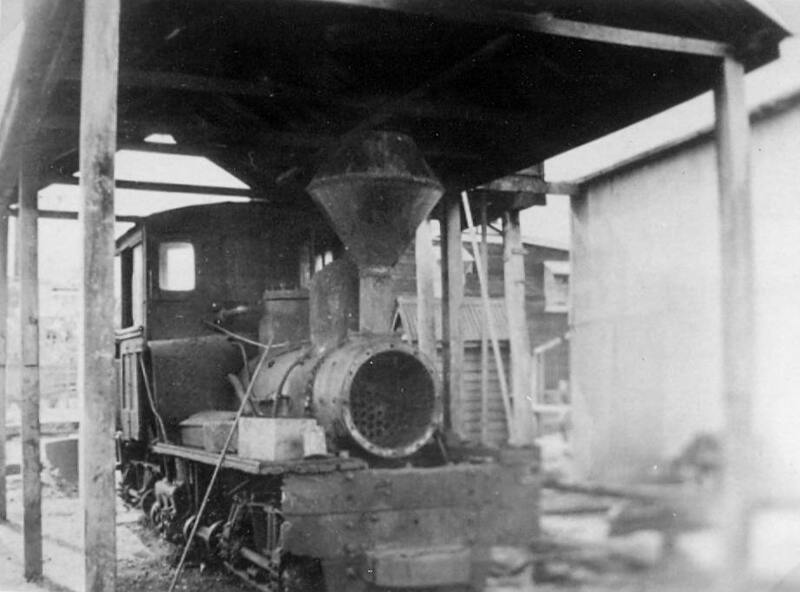 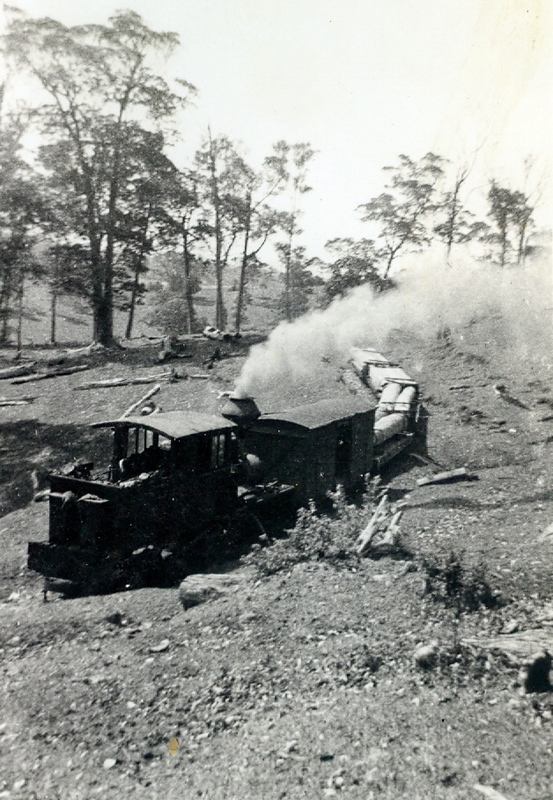 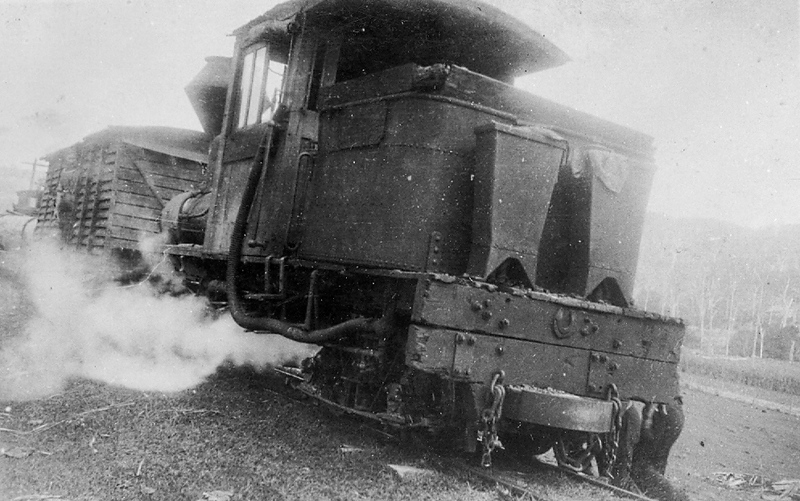 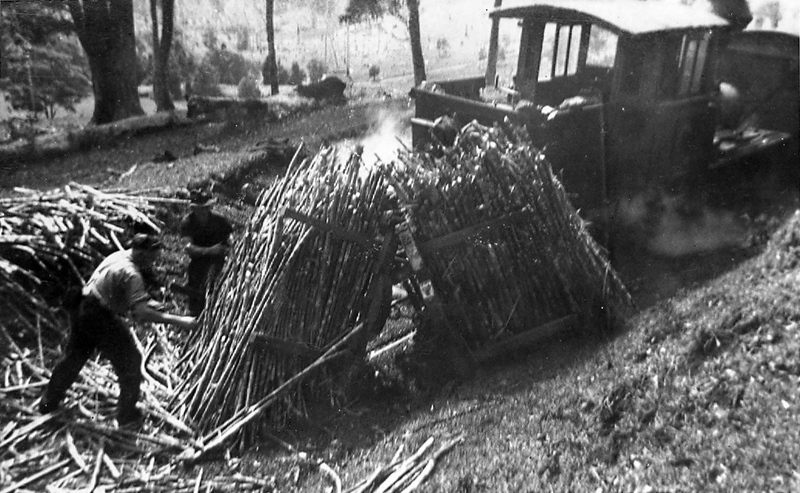 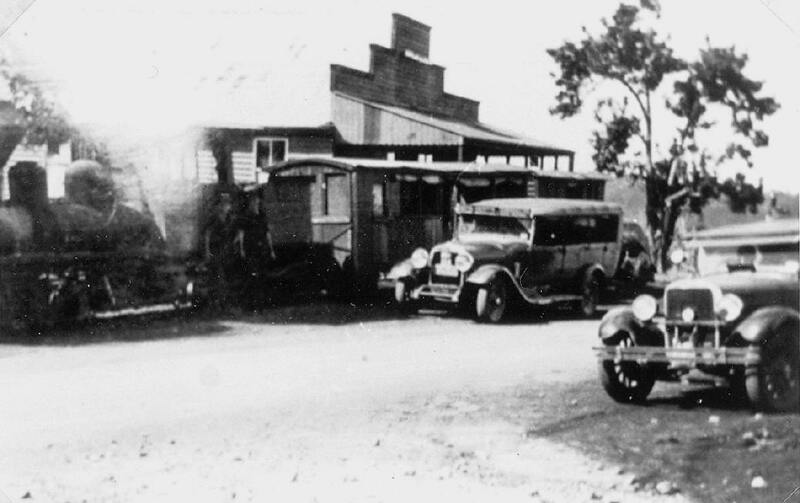 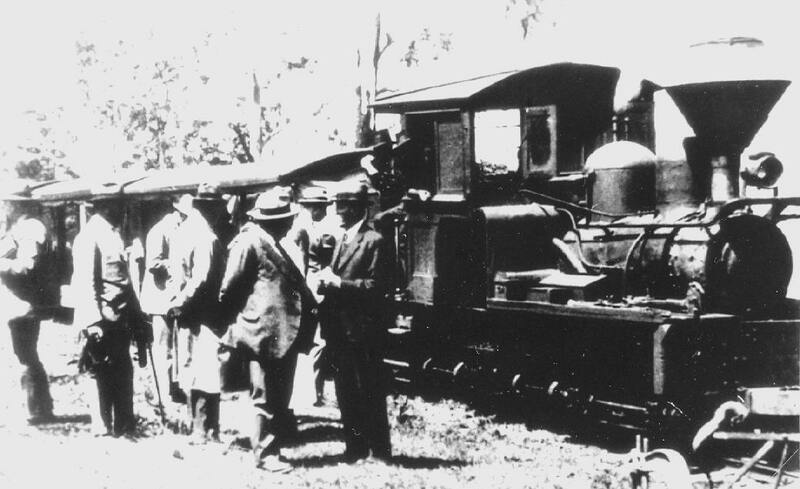 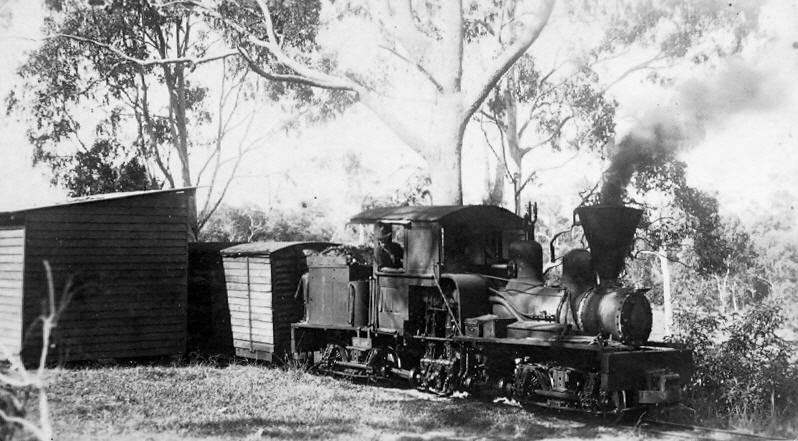 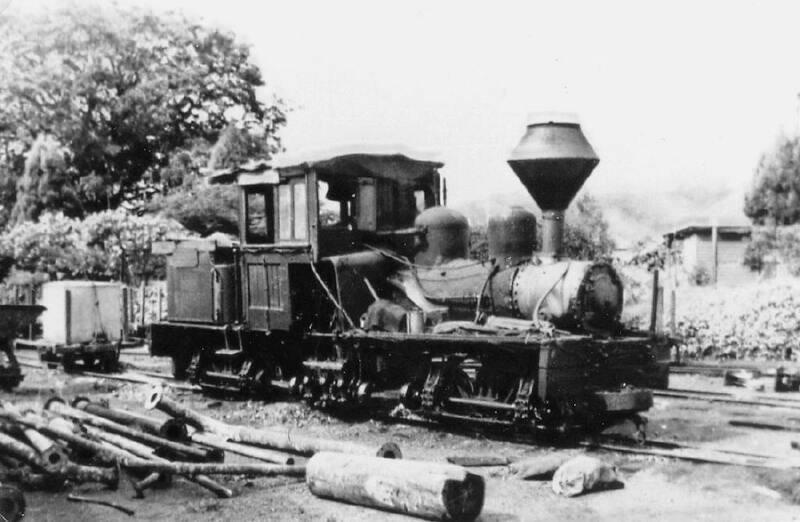 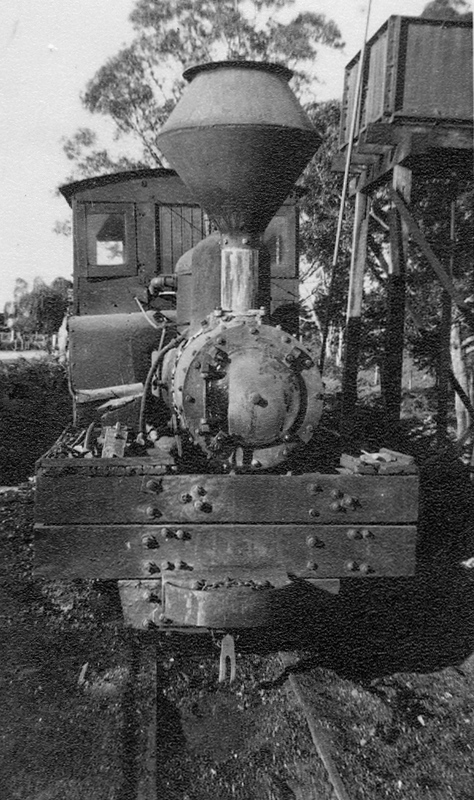 An early picture of a nearly-new Dulong with a diamond spark arrester and owned by the Moreton Central Sugar Mill, bringing logs down from Kureelpa. 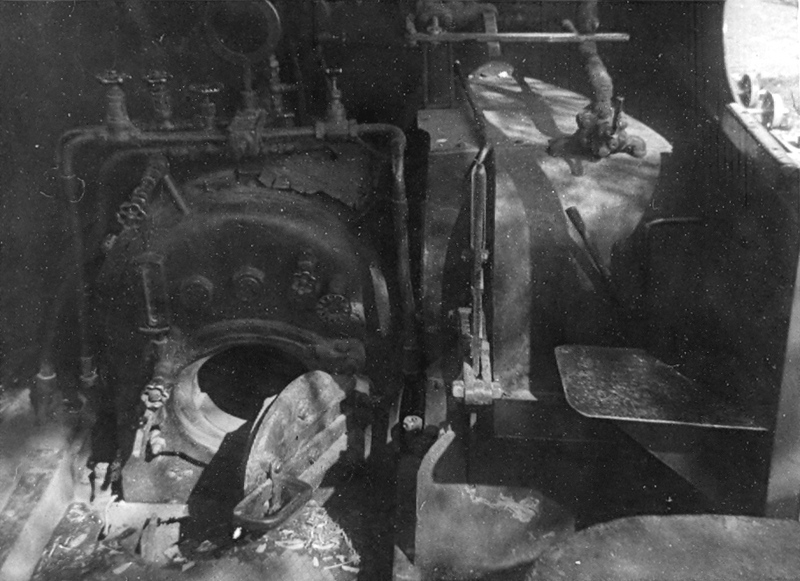 Note that the Gibson, Battle agent's plate on the bunker on this side appears to be missing. 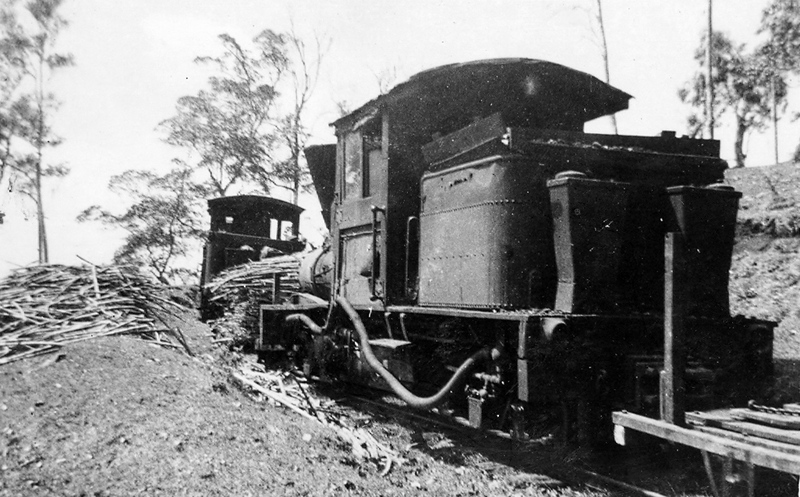 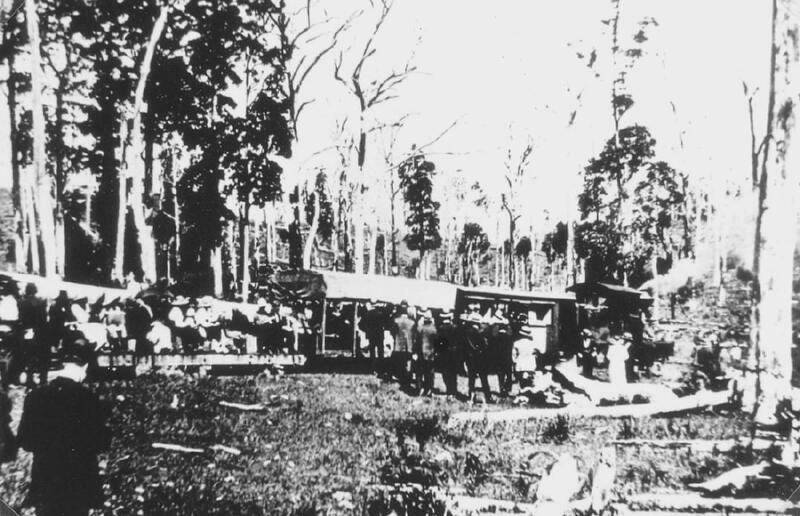 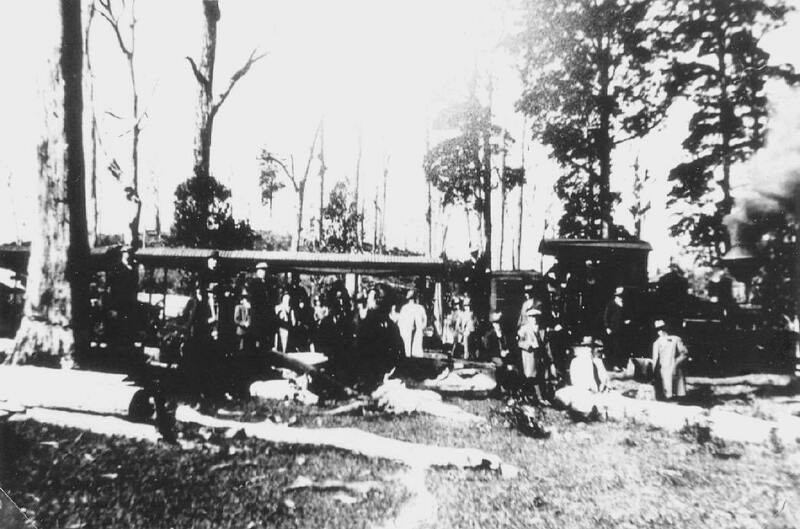 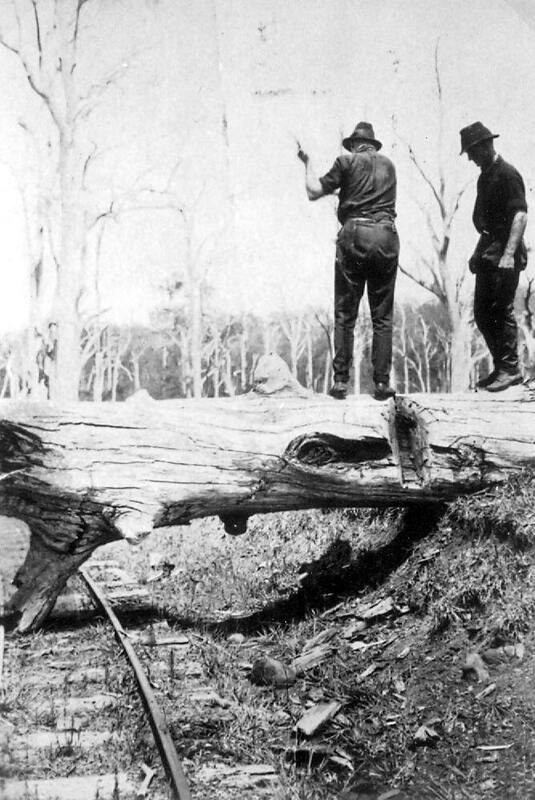 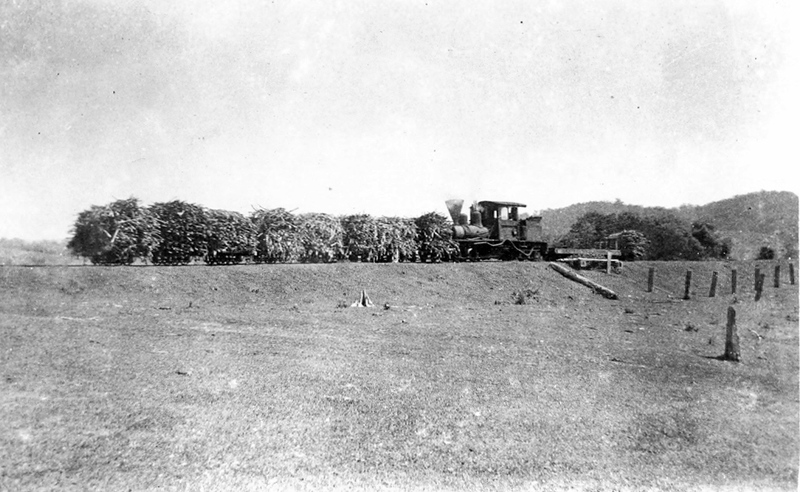 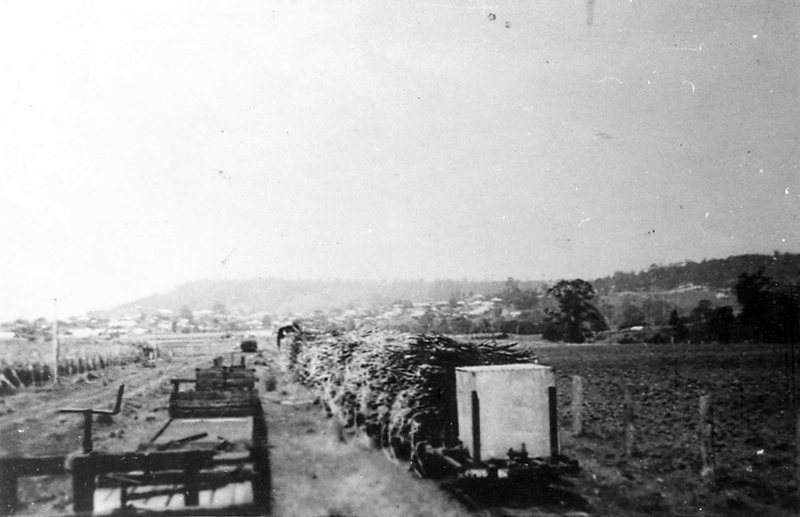 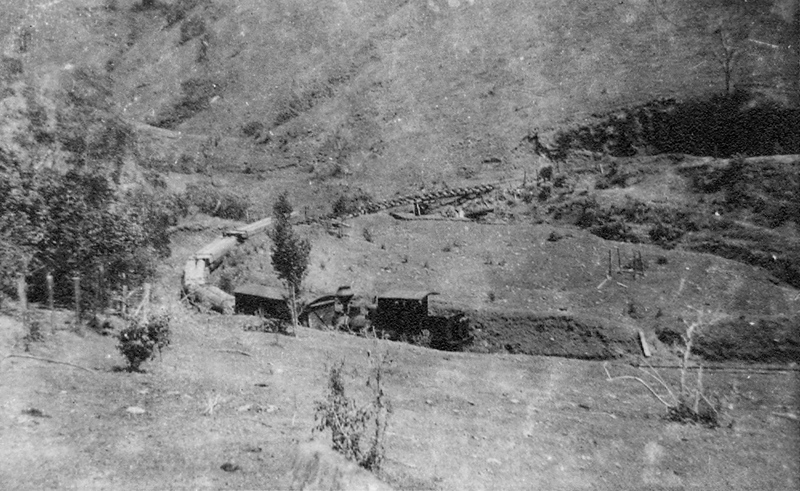 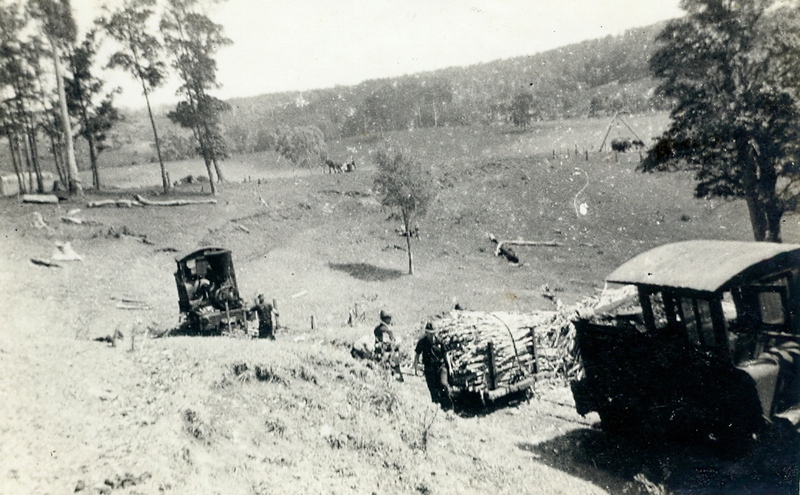 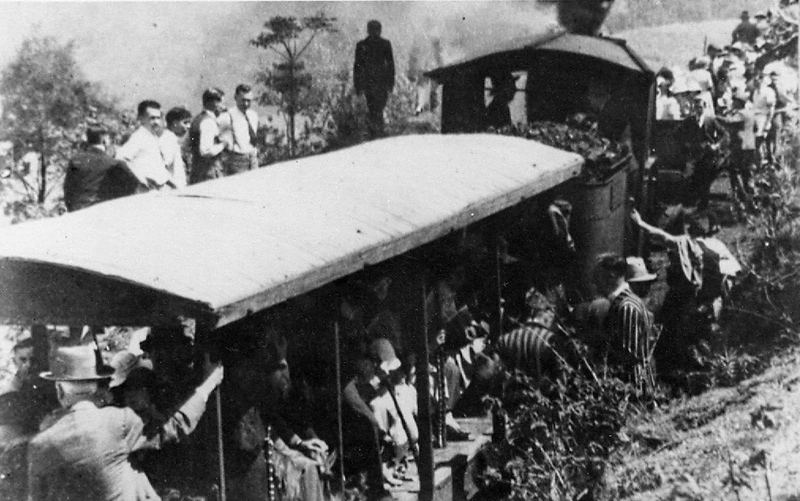 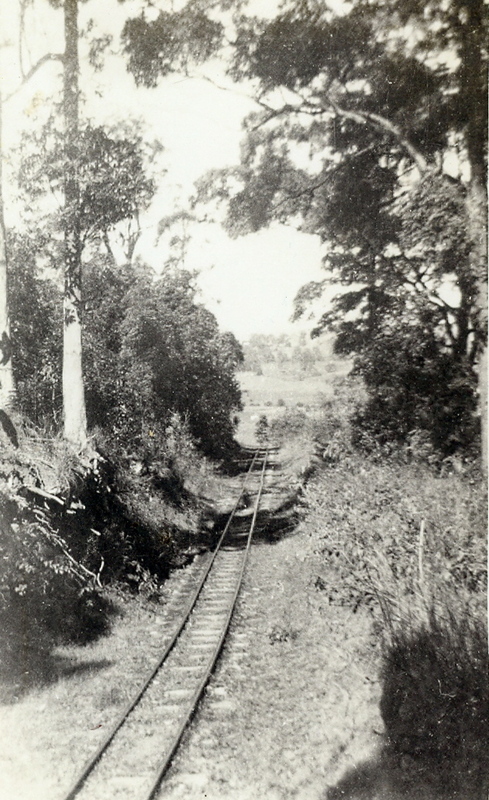 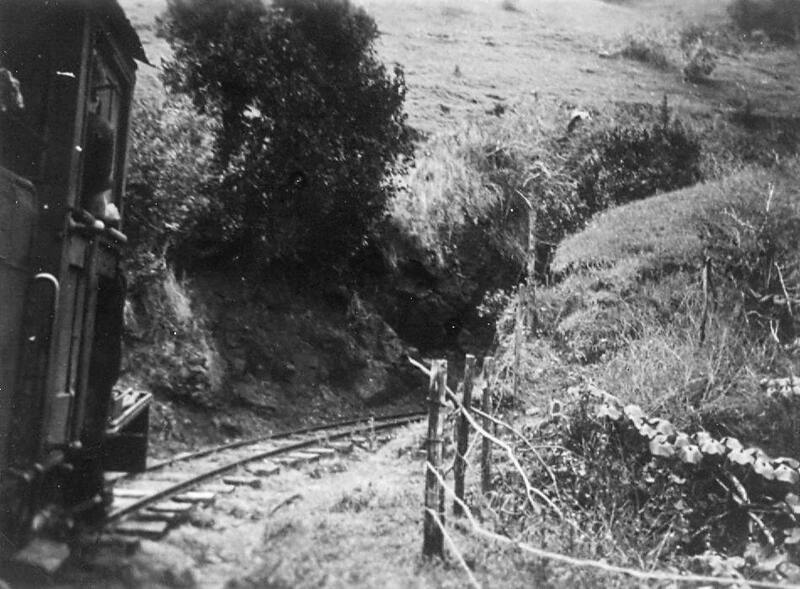 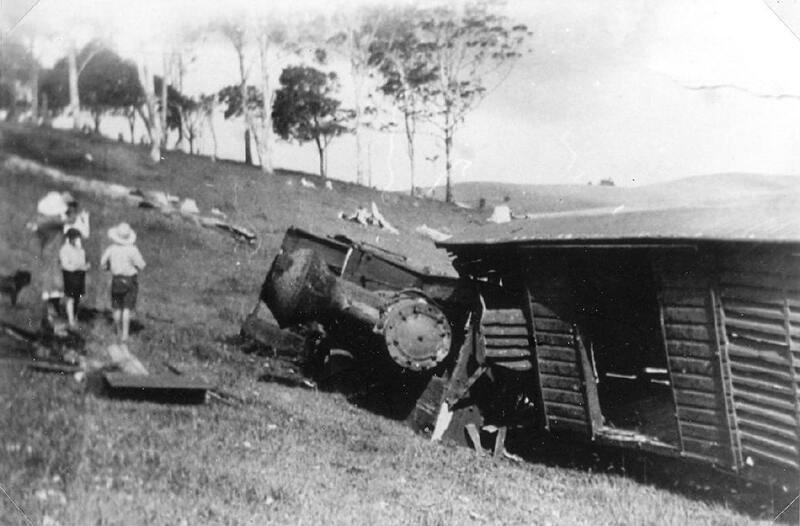 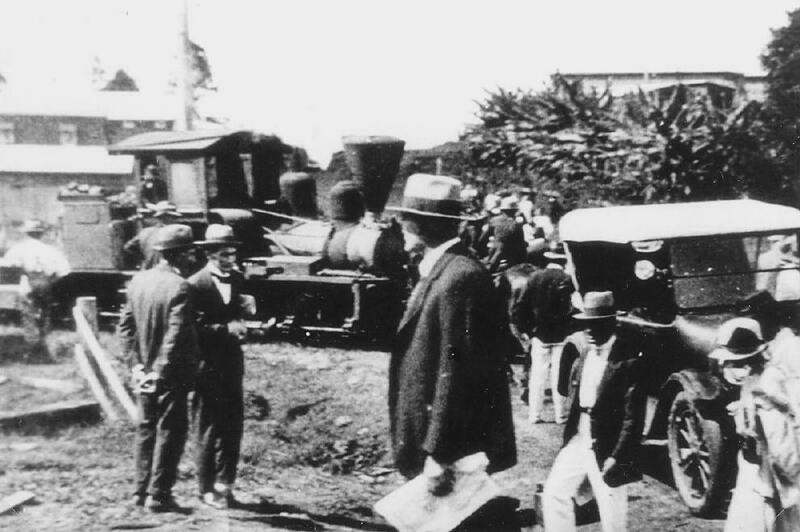 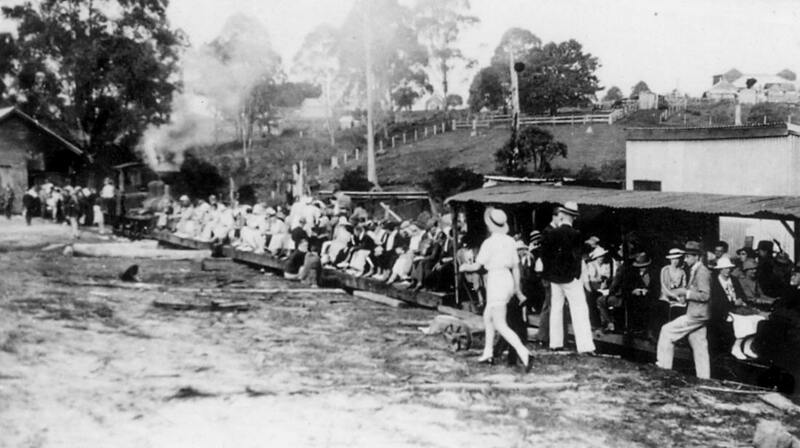 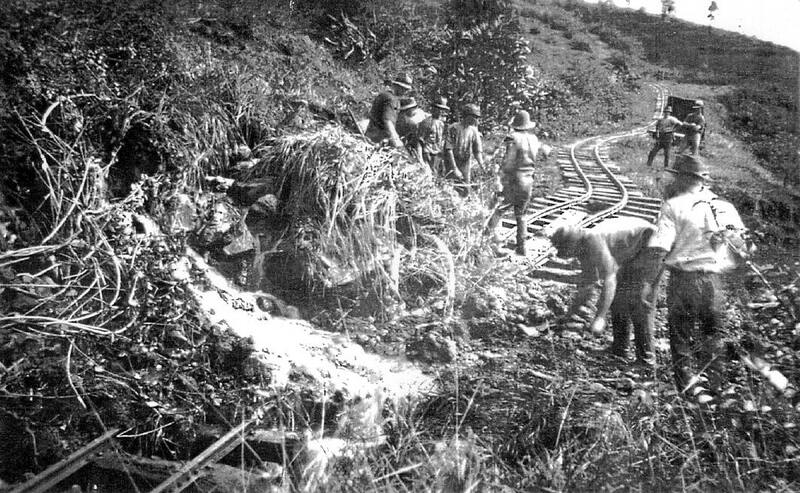 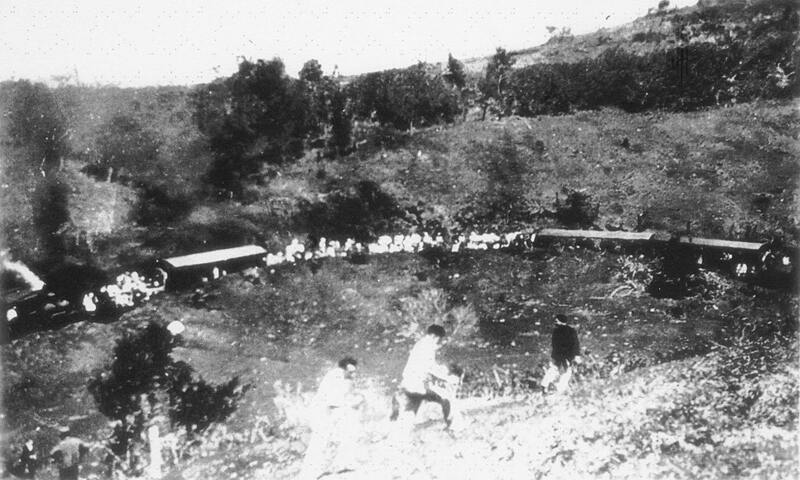 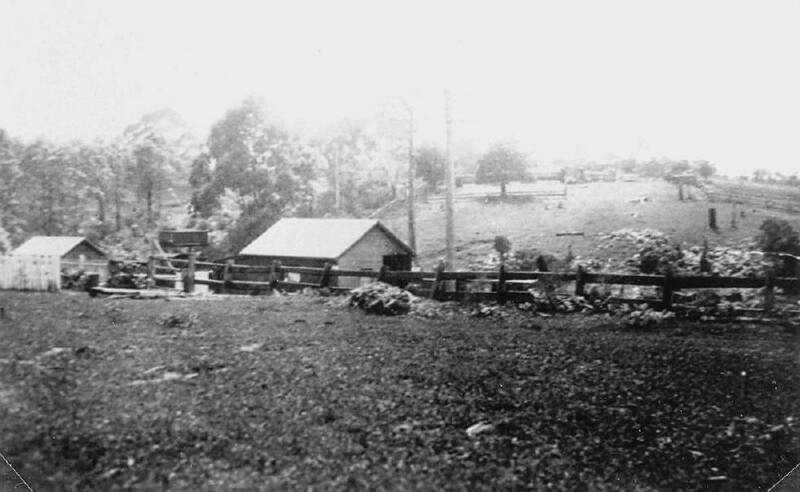 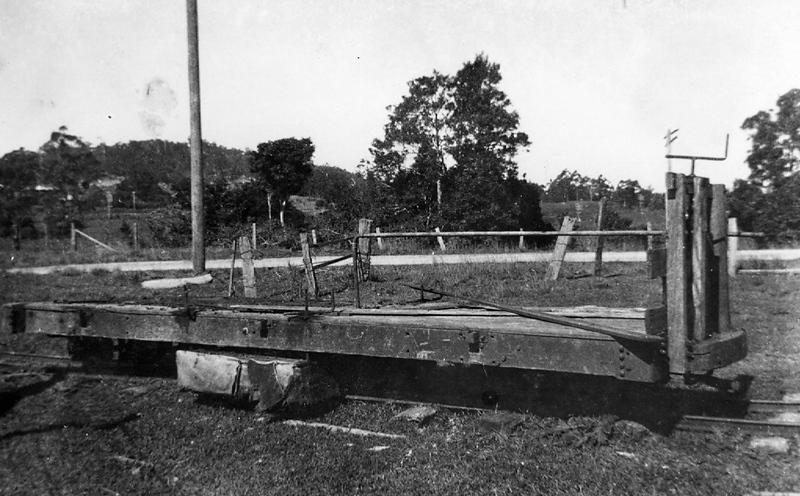 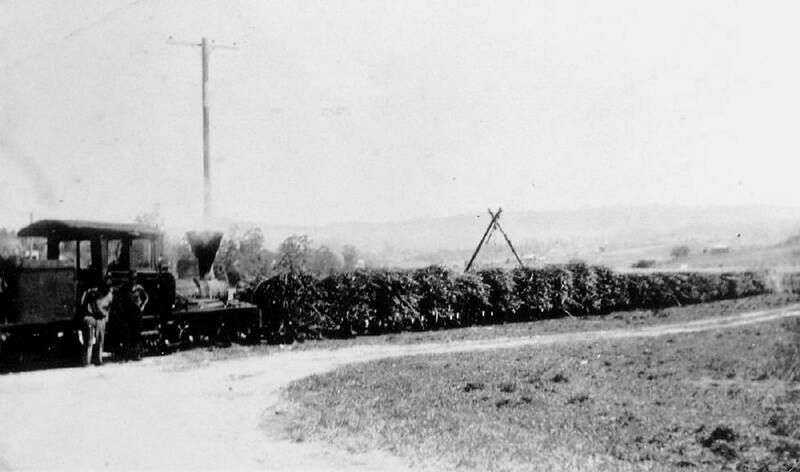 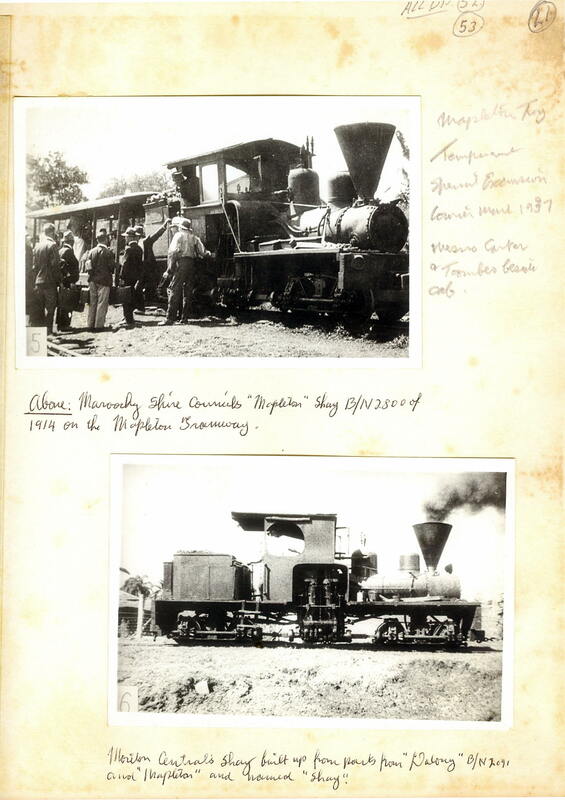 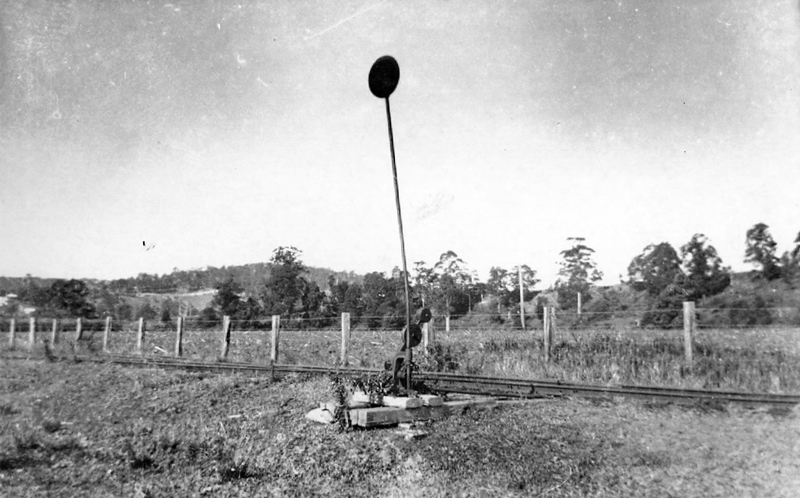 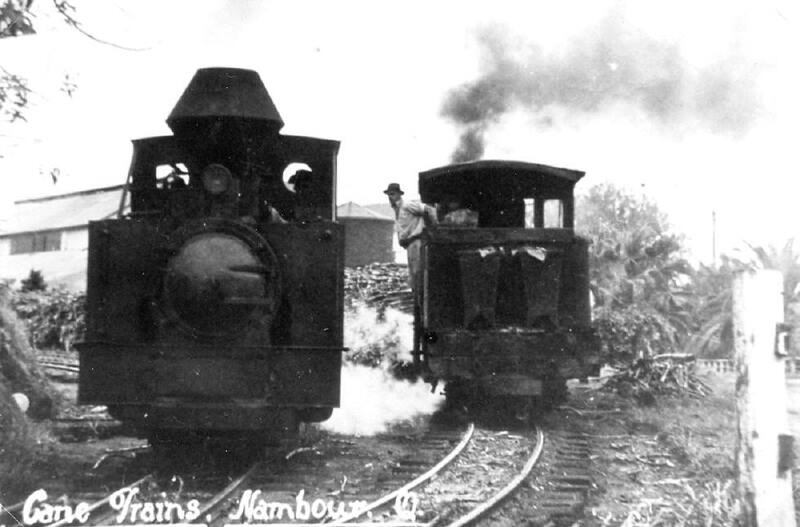 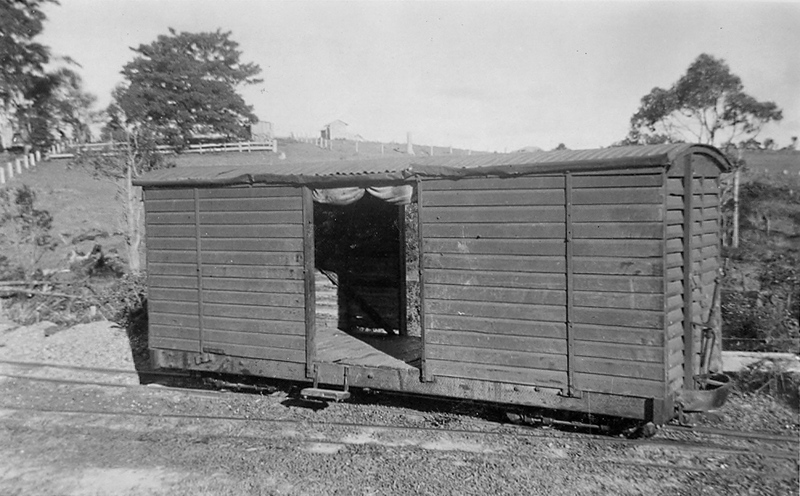 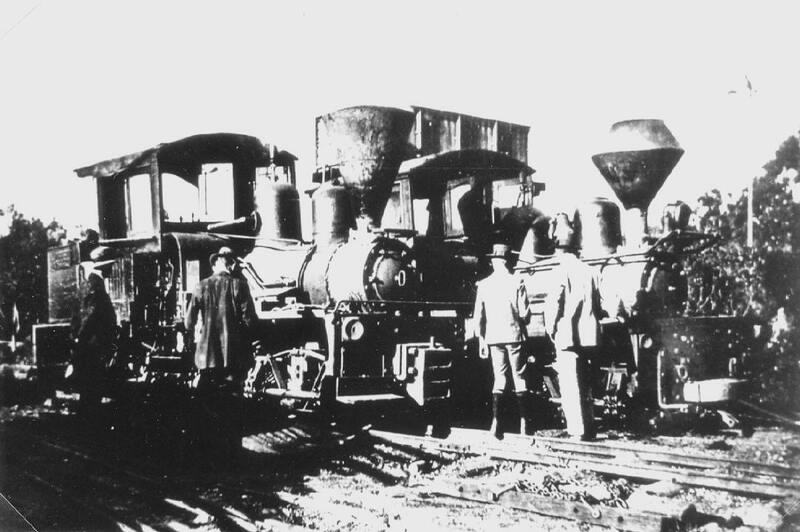 The date of the picture would be between June 1910 and August 1911.
was too heavy to negotiate, to reach cane trucks on the siding and then draw them onto the main line. 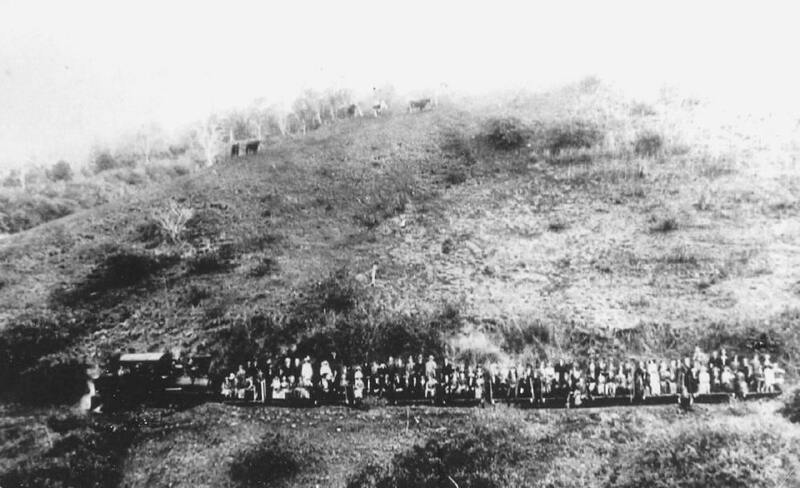 Dulong pauses on the Highworth Range to allow the Scottish Commissioners to enjoy the view down Petrie Creek valley to the Pacific Ocean. 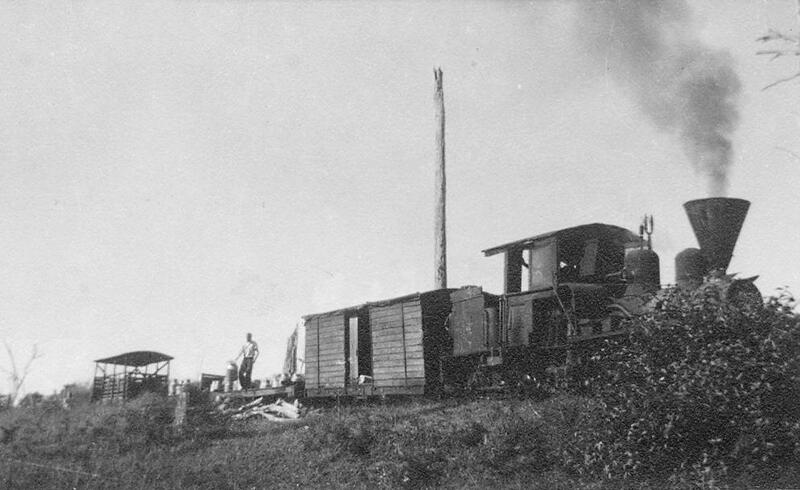 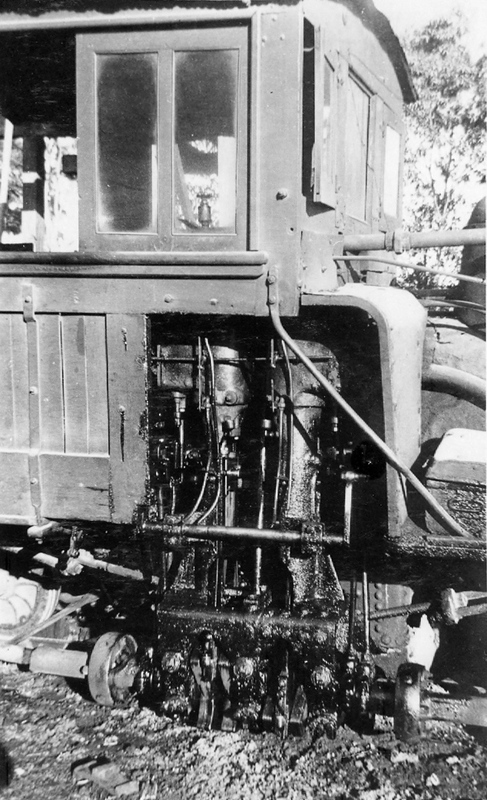 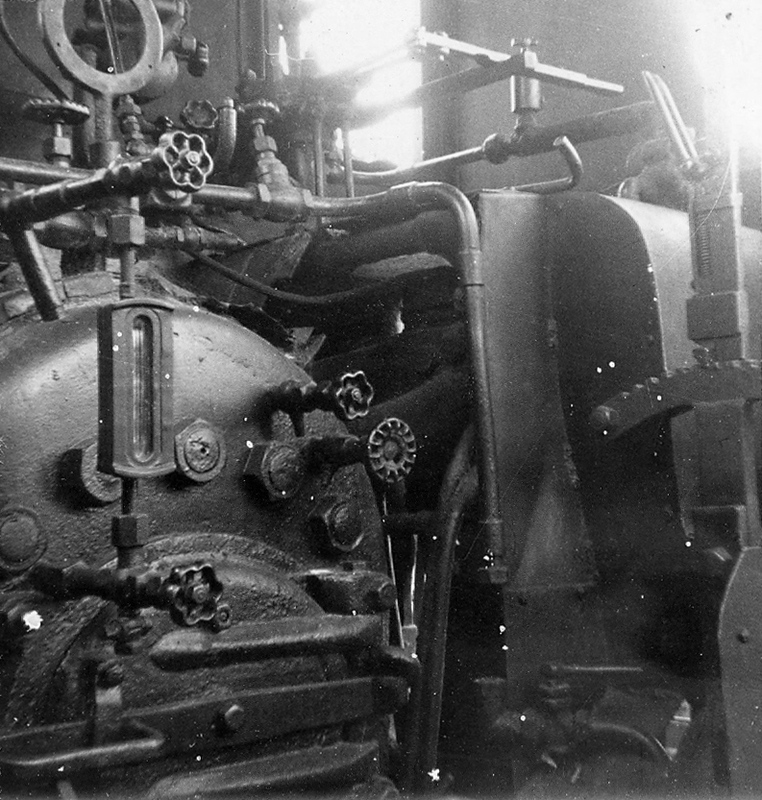 The date is October 1910, and the locomotive still has its original chimney. 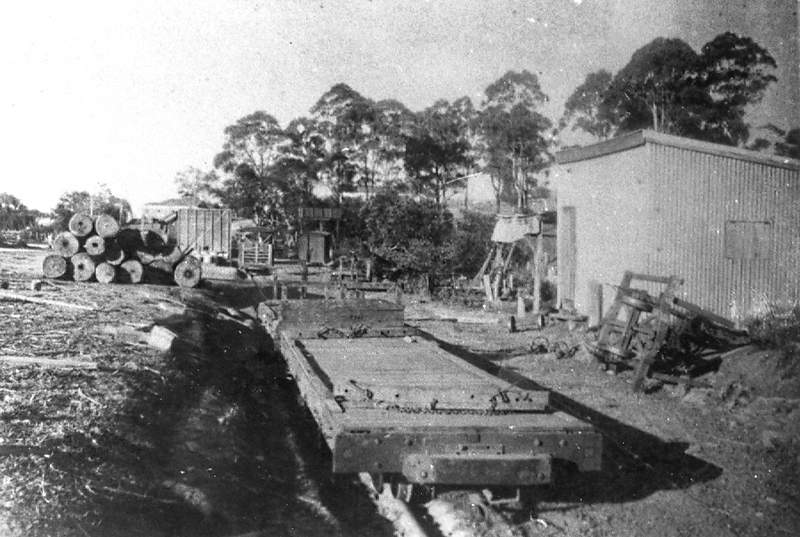 Mapleton and its tram at the corner of Delicia Road and Obi Obi Road, Mapleton, adjacent to the Mapleton Station. 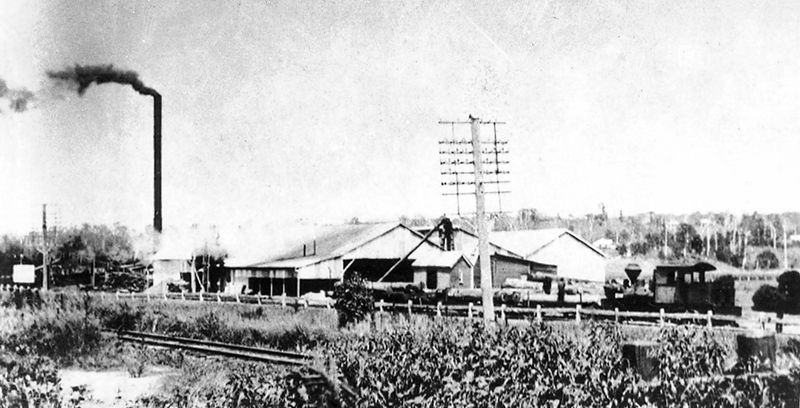 The Mapleton shops are at the left margin, and the Ocean View Hotel is left of centre on the skyline. 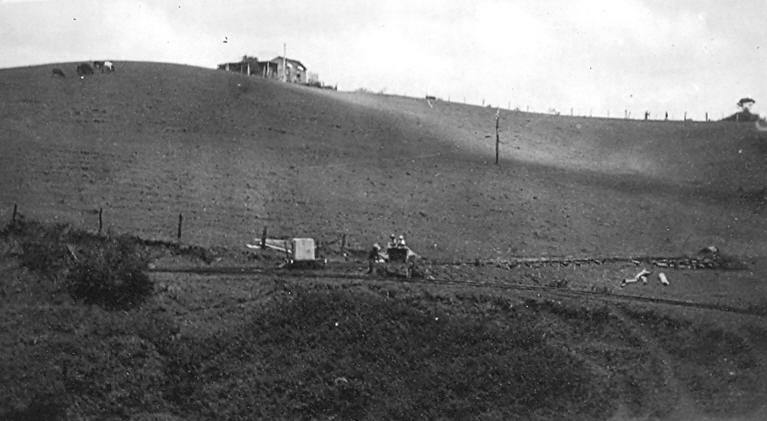 The Mapleton State School is on the highest point of the skyline. 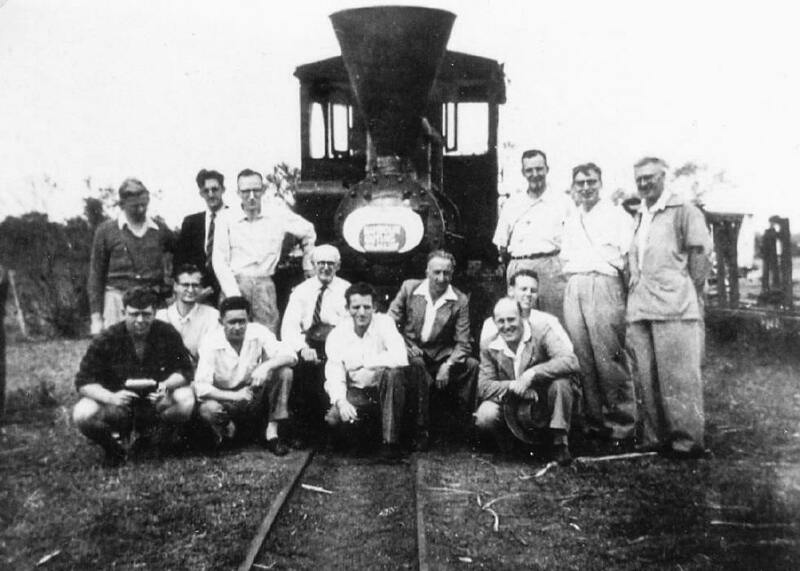 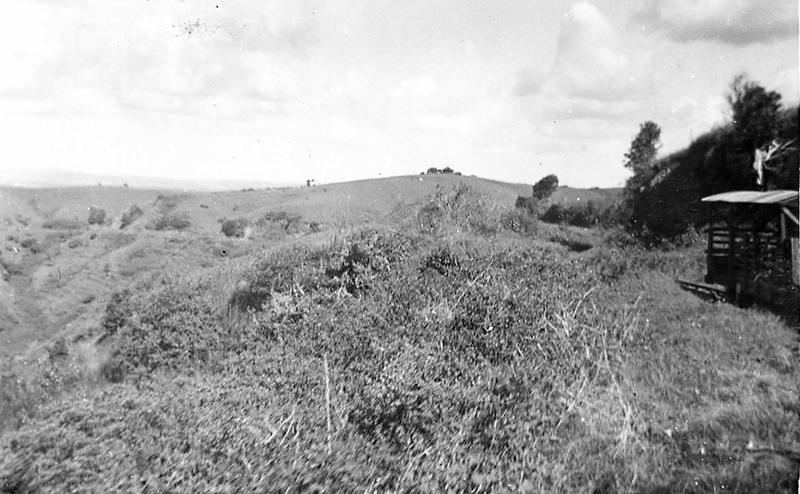 Shay on an excursion to Bli Bli, circa 1958. 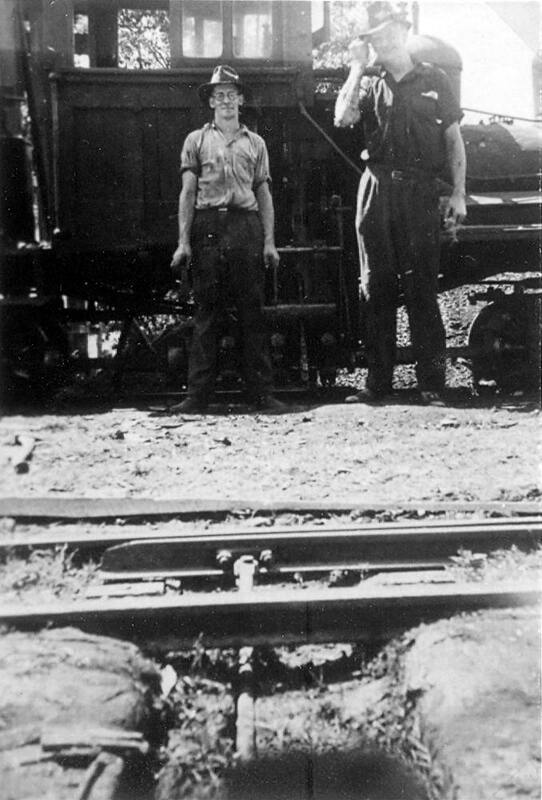 Driver Bill English Snr waits in the loco's cab.